We Are On A Mission To Create Health, Not Treat Disease. We are a Patient-Centered Family Medicine clinic that offers medical care for the entire family. We care for pediatric, adolescent, adult, and geriatric patients, treating both acute illness and chronic disease. We are a NCQA Certified Patient-Centered Medical Home. The Patient-Centered Medical Home concept is a way of organizing primary care that emphasizes care coordination and communication to customize your healthcare experience to your needs. This form of care has been shown to yield higher quality healthcare at a lower cost and can improve your health care experience. Meet Our Team. Discover Our Services. Too busy to make it to the office? Can't miss work? Can't miss anymore school? Live some distance from the office? We will start offering telemedicine visits to our established patients for acute visits beginning April 8th. Telemedicine allows you to see your provider over video conference, and it can be done with your smartphone or computer. For full details about telemedicine at Freeman Family Medicine click here. Visiting with our dietitian, Carley, is free for our patients. She is available every Wednesday and generally plans to spend an hour with patients. She is also happy to schedule follow-up visits with you to keep you accountable and working toward your goals. Want to meet with her as a couple or as a family? No problem. The more the merrier! Given that she is in the office just one day per week, she generally books up a two to three weeks in advance, so it is best to book early. We do get last minute cancelations, so do not hesitate to call the day of to see if she has openings. Learn more about visiting with our dietitian. What you eat has a dramatic impact on your health. Your diet is the largest factor in determining the quality your health. The Standard American Diet has led us to become a nation rattled with heart disease, diabetes, and obesity. By simply eating a diet of rich in vegetables, fruits, whole grains, nuts, and seeds, you can prevent and even reverse the diseases that are killing us. We offer a wide array of services to limit the number of places you have to go to for medical care. 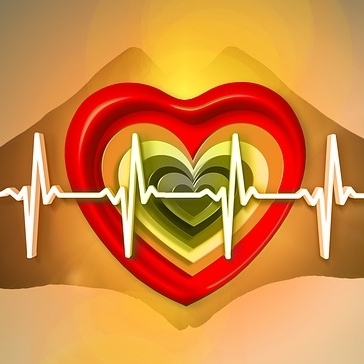 Our in-house services include labs, electrocardiograms, Holter monitors, bone densitometry, sleep studies, and more. We see patients for everything from acute visits to management of chronic diseases and everything in between, including wellness exams and school physicals. We offer our patients free visits with our on-site dietitian. Whether you have a chronic disease, such as diabetes or heart disease, and want to get better or you want to simply prevent disease from starting in the first place, meeting with our dietitian will be worth your time. Asthma and allergies affect one in five Americans. We offer in-office testing and safe, convenient at-home treatment. We have the expertise you need to stay healthy when traveling abroad and offer a full slate of immunizations, including yellow fever. We also carry all pediatric and adult immunizations recommended by the CDC. Because we are about the whole body, we have mental health therapists in-house who offer services for individual or family guidance. They are available to see patients on Mondays and Fridays. We offer after-hours access to one of our nurses for those urgent questions that come up on nights, weekends, and holidays.